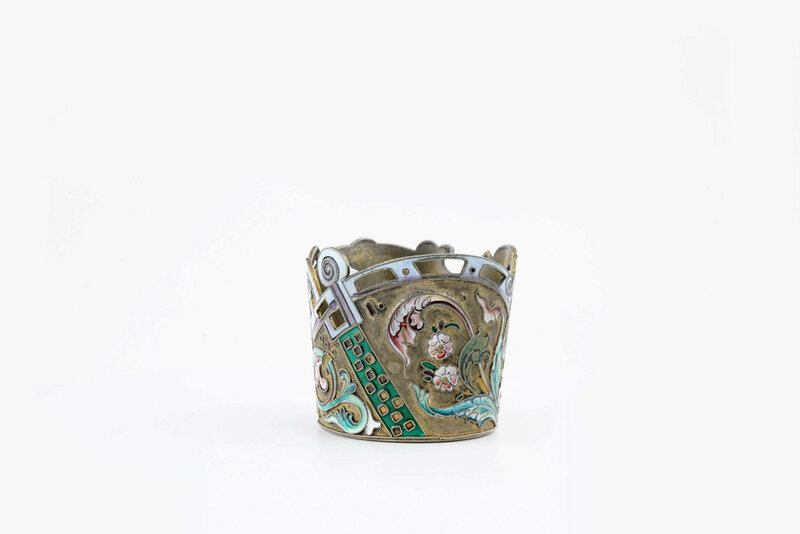 A rare antique Russian silver 84 cloisonne shaded enamel cup holder by 11th Artel Moscow. 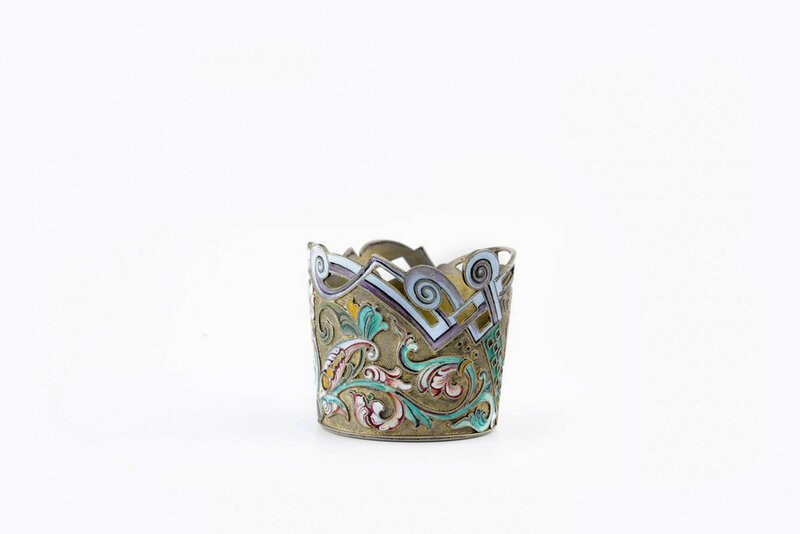 A beautiful and rare antique Russian silver 84 cloisonne shaded enamel cup holder by 11th Artel Moscow, circa 1908-1917. Height is 1.75 inches. 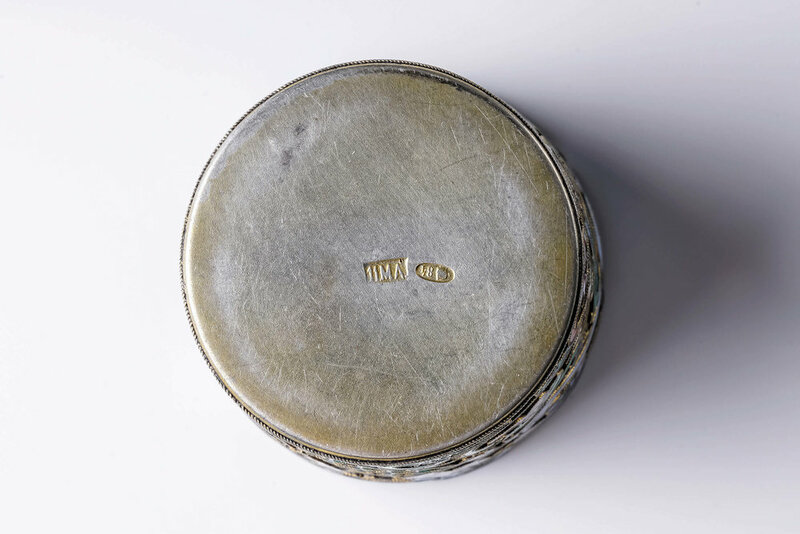 Diameter is 2 inches. Enamel is in perfect condition.